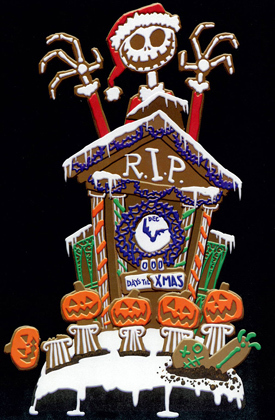 Here is a sneak peak at the Gingerbread House in Disneyland’s Haunted Mansion courtesy of Disney Parks Blogs. The best part is…… I will be at Disneyland next week so I will most certainly post up actual pics and all the details on the Gingerbread decorations I see so stay tuned! !